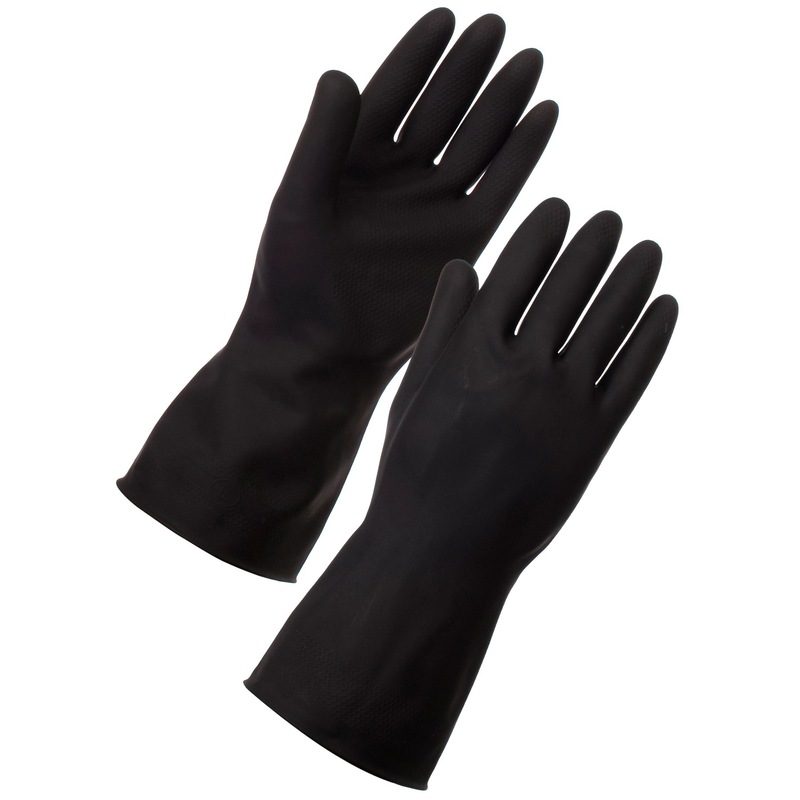 Home » Safety Products » Body & Fall Protection » QUEBEE INDUSTRIAL RUBBER GLOVE 12"
QUEBEE INDUSTRIAL RUBBER GLOVE 12"
Resistant to acids, detergents, salts, caustics, animal fats, alcohol and vegetable oils. Made of natural rubber latex, which provide superior tensile strength with excellent tactility, sensitivity and comfort. It is an excellent choice for industrial application. Main fields of use included maintenance, shipbuilding, chemical industry, pharmaceutical manufacturing and cleaning departments.